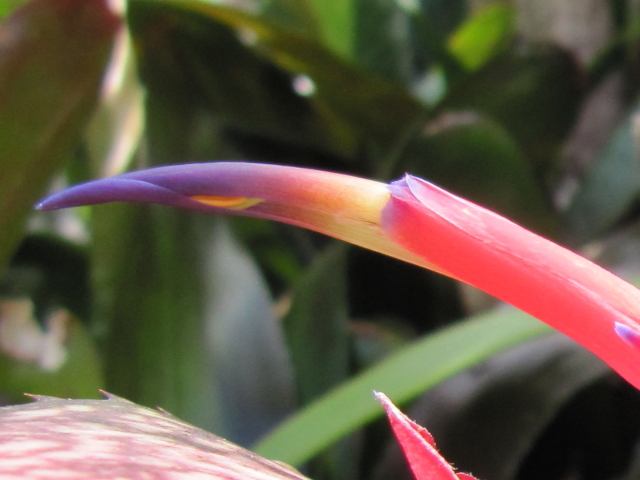 Bromeliads are one of my favorite plants, this one here is Billbergia 'Cold Fusion'. I received it via a trade with a gardening friend. The leaves are beautifully spotted with a toothy edge, the brilliantly pink flower bracts are attention grabbers but sadly the inflorescence is short-lived. Most Billbergias are tall and tubular, and do not have the rosette shape of most well-known Bromeliads. They are easy bloomers and multiply fast. 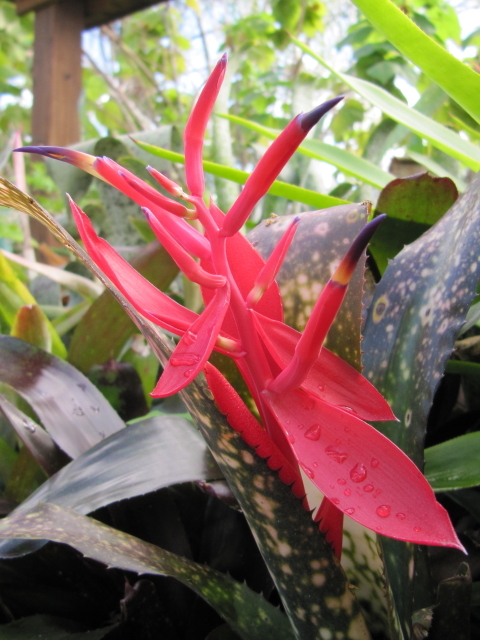 A Bromeliad will bloom only once before it dies, but makes up for it by producing several offshoots. Beautiful. 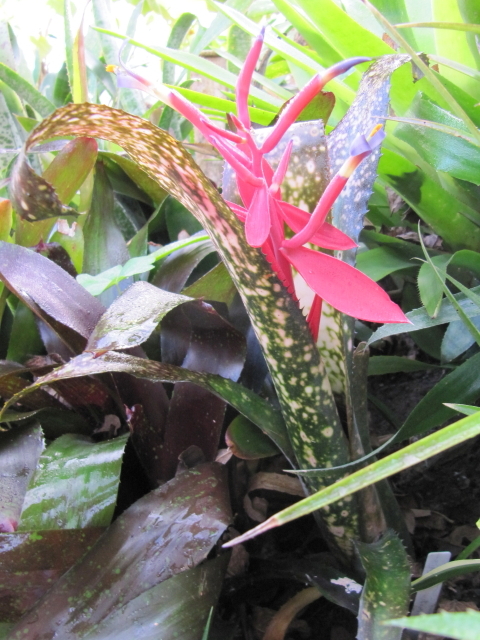 I'm just starting to try bromeliads. One has a pup. I'm so excited. 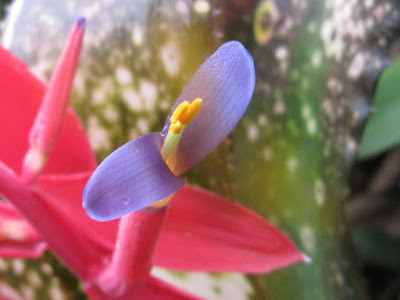 Beautiful and unusual looking! 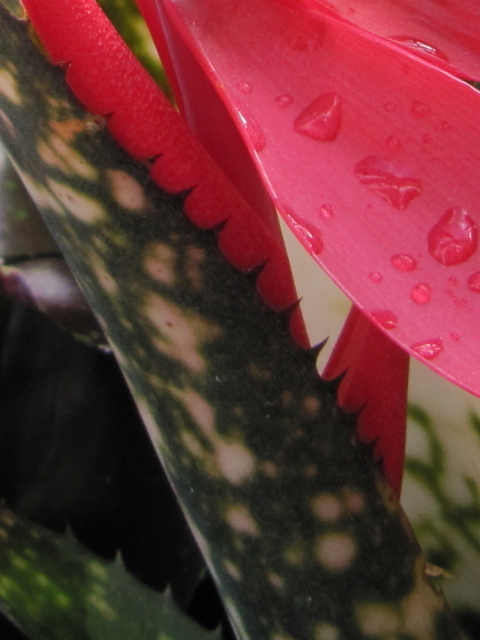 I don't know much about tropical plants so they are always so interesting to see and read about!